Location: Robert's Grove Beach Resort is situated in Placencia, Stann Creek District offering the finest fishing and outdoor recreational tours in Belize. About your host at Robert’s Grove Beach Resort: Team, Robert's Grove Beach Resort. Right on Placencia Beach, Robert's Grove Beach Resort offers amazing views of the Caribbean Sea and Belize’s barrier reef. This resort has 72 rooms, suites and marina villas, 3 outdoor pools, Sea Spa, full service marina and PADI 5 star dive shop. Robert's Grove Beach Resort's brightly-decorated rooms and villas include balconies and sea views. All accommodations have cable TV, air conditioning, a mini-fridge, in-room safe and coffee maker. Suites and marina villas all have a sitting area, a large terrace and kitchens. 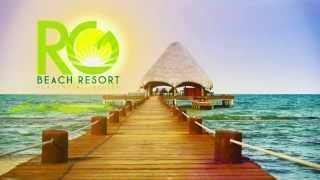 The resort organizes activities including fishing, sailing, land and sea tours, snorkeling and diving. Sailing and kayaking are also available. The resort’socean front Sea Spa offers a range of treatments including wraps and massage. In a Mexican-style café, overlooking the water, the Habanero Café & Bar serves local and international cuisine. The Seaside Restaurant specializes in Caribbean dishes. Fishing experience at Robert’s Grove Beach Resort: It's easy to get hooked on Belize fly fishing in the pristine waters around Placencia, where year-round fishing affords visitors the opportunity to catch eight to ten different species in a day. There's bonefishing in the flats, trolling along the outer cayes and fly fishing and spin casting anywhere along the coast. Our Fishing Center will set you up with excellent licensed Placencia fishing guides equipped with boats and rods and tackle (it is suggested that fly fishermen and spin casters bring their own gear). Placencia Belize is a haven for novice and expert anglers alike. Our Belize fishing packages are created to combine the most exciting fishing adventures in southern Belize along with fun resort amenities to ensure that you have the best all-inclusive fishing vacation. For travelers who want to spend their days fishing in the secluded waters of Southern Belize - where tarpon, bonefish and permit fisheries are abundant - and their nights relaxing by the pool enjoying a refreshing drink and world class cuisine. Click here for quick link country guide. To select and book the top suggested hotels and accommodation in the area when fishing at Robert’s Grove Beach Resort click here. by car or public transport to Robert’s Grove Beach Resort. had a good time overall .Staff is very friendly. Food is good and 3 pools with excellent views. Ask for a 2nd or 3rd floor room. We were in 39b and would strongly recommend. $10 taxi to town or hotel has 2 free shuttles per day.